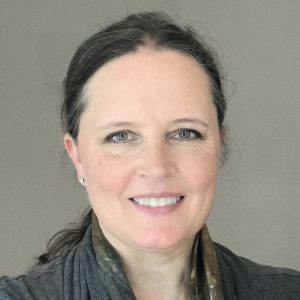 Editor’s note: Alene Davis is an architect and photographer, and a manager senior for Multnomah County Facilities & Property Management Division. We asked her to answer a few questions about her experience in the Authentic Leader seminar. You attended Authentic Leader in 2015. How would you describe your experience overall? I greatly benefitted from the opportunity to explore what it means to be an authentic leader rather than a positional leader. The format of multiple sessions with opportunities to practice the skills learned and perspectives gained between sessions was very helpful. What did you learn about yourself as a leader at this seminar? I learned that my first contribution as a leader is my state of being, and that having the presence of a leader has nothing to do with the position I hold and everything to do with what is happening inside me. I learned that the most important thing I can do as a leader is to lead with compassion and integrity. What changes did you make based on your seminar experience? I seek to focus on intentions rather than mechanisms. Rather than focusing on imparting information and direction, I listen first to understand, then work collaboratively to create meaningful outcomes. I strive to establish relationships based on trust and common ground, which is more important than focusing on the details of the work at hand. What impact did it have on your life, your work, your home life, your relationships, and how you see yourself? I lead with greater confidence and resiliency. Throughout my life I find I am a better communicator and solutions builder. If you’ve attended other leadership seminars, what is different about Authentic Leader? I considered AL to be more focused on informational learning, still with a good blend of experiential learning mixed in. By focusing on leadership, this Wings seminar has more of an aspect of serving and helping others. Who do you think would benefit attending this seminar? Anyone who wants to lead, in whatever form of leadership that may be: as a boss, mentor, parent, colleague, or other. Anything else you’d like to add about the seminar? I highly recommend this program for anyone who considers themselves to be, or wants to become, an effective leader.